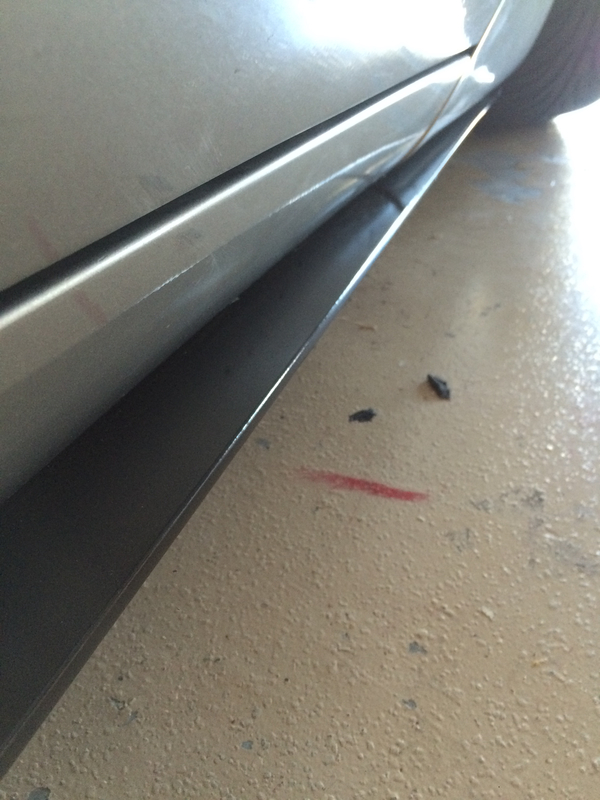 I made these side-skirts using 2 8 foot long pieces of vinyl siding from Home Depot. They were 16 dollars a piece. I used a sturdy sheet of cardboard to make a template to allow cut-out sections at both of the jack locations and at the single front and single rear fender screws. The most time consuming part was making the template. It probably was a 2 hour trial and error process to get it perfect, but in hindsight it shouldn't have taken so long. Once I got the template made, I traced it out on the vinyl and cut it to size. I made sure it fit and could be screwed in, then I primed it painted it with regular spray can high-heat black paint, and put several coats of clear on. 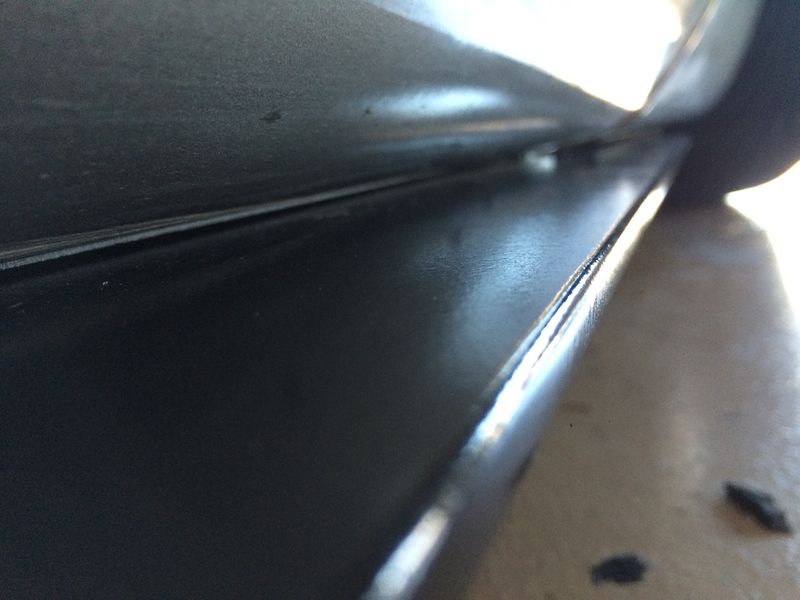 I cleaned the underside of the rocker panel with rubbing alcohol and applied heavy duty double sided tape along the length of it and screwed in the side-skirt at both ends and then pressed the rest of it up against the tape. Pretty neat. Does it look nice and clean in person like a high quality aftermarket skirt? That is really cool. Where did you come up with the template? Looks amazing. Great looking job! Might just do this to mine. I got the idea and basically followed the same instructions to make mine from another member here, except I used a high-gloss black to finish it. 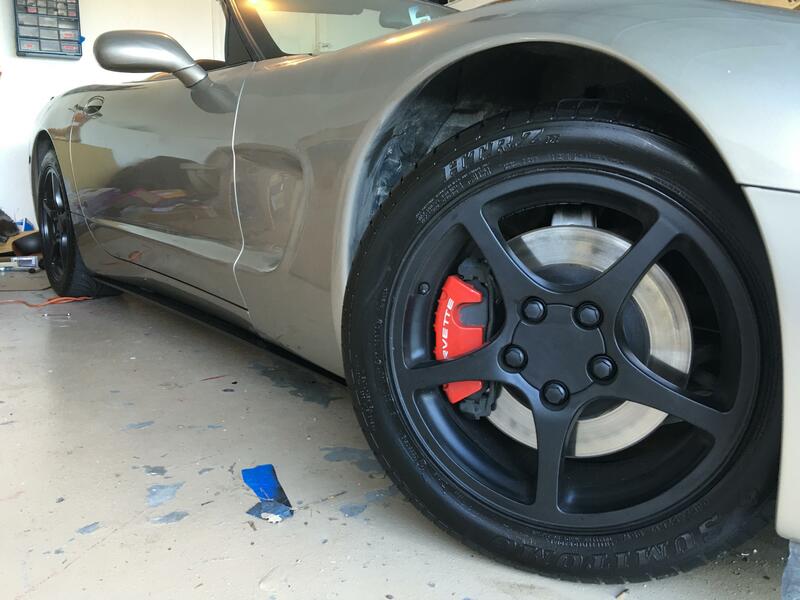 I tried the Plasti-dip like he did, but it collects dust like nobody's business and the gloss had a better finish. I also used a thinner plastic material. The thicker stuff was still available, but it was 3x as much money. 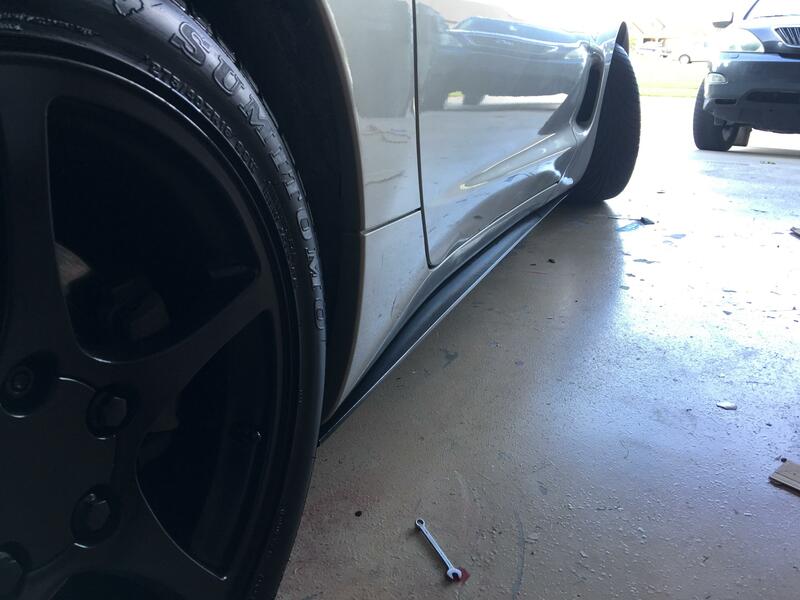 As far as what the quality is up close compared to a real aftermarket side skirt, I can't say for sure because I have never seen a real set up close. My best description of mine is it gloss black with a smooth-as-glass appearance. 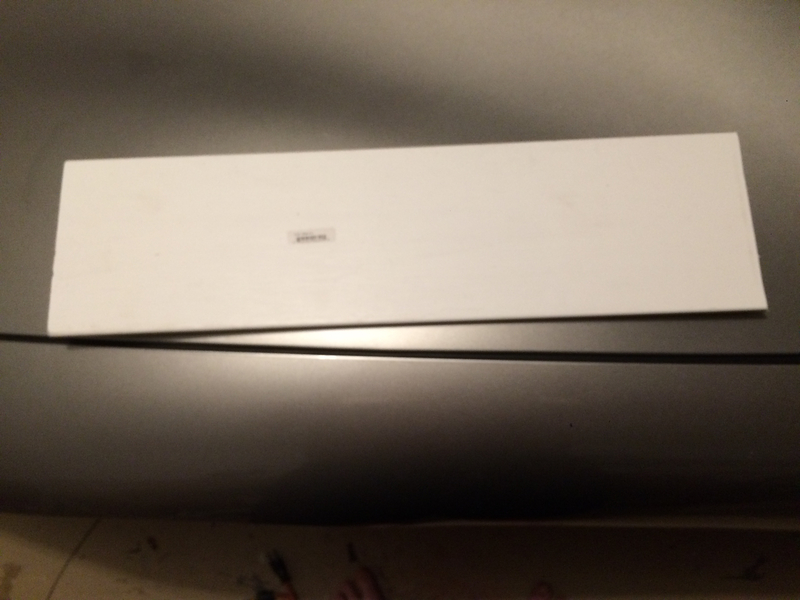 The plastic is thick enough to not look flimsy and is held firm to the body across its entire length with the heaviest duty double sided tape Home Depot carries-it is good for 40+lbs and the piece weighs less than 2 pounds, if that. The only way you would be able to tell it is not a legit aftermarket piece would be to probably physically be 6 inches away, but even then I don't think you could tell. We'll see how the paint holds up. This was a practice set to make sure I could make them. I plan on making a second pair of these and covering with real carbon fiber fabric and epoxy resin. 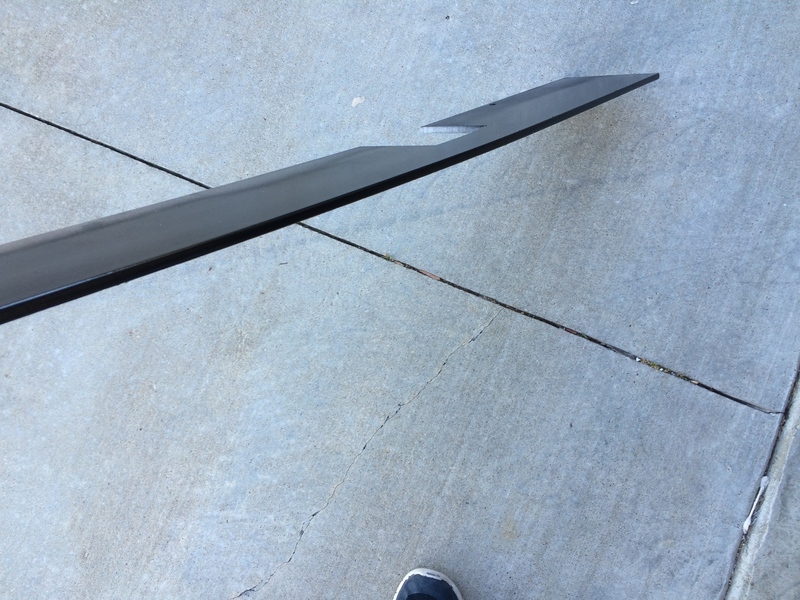 The fabric and epoxy will add about $40 to the final cost and the sanding down of the epoxy to get the glass finish will add another 5 or 6 hours of labor, but for less than $80 you can make your own carbon fiber side-skirts. I can measure the template I have and post the dimensions, that was really the only difficult part of the project. Once that was done, it was literally making 2 cuts, drilling 2 holes, and letting paint dry! They look great, good thinking. Here is a template drawing. It is not drawn to scale, but the measurement lengths are accurate. 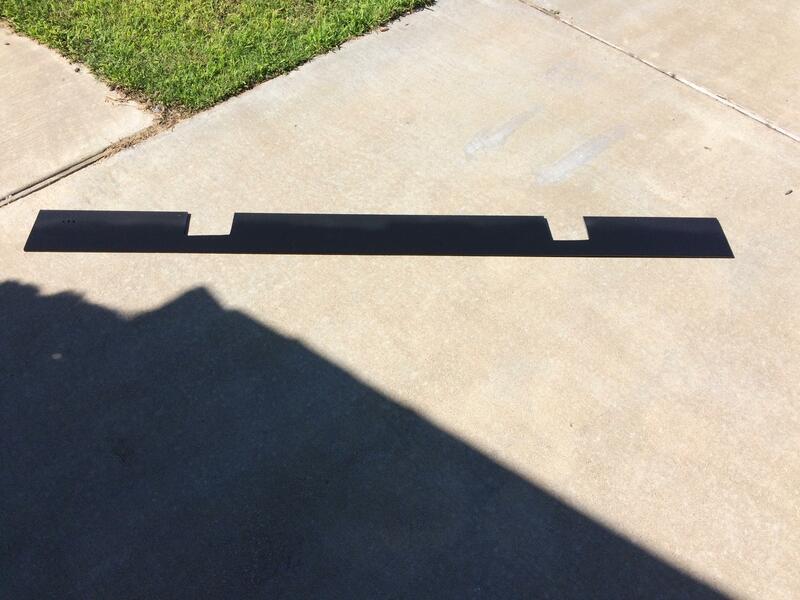 For the screw holes, I would suggest first getting the template cut. 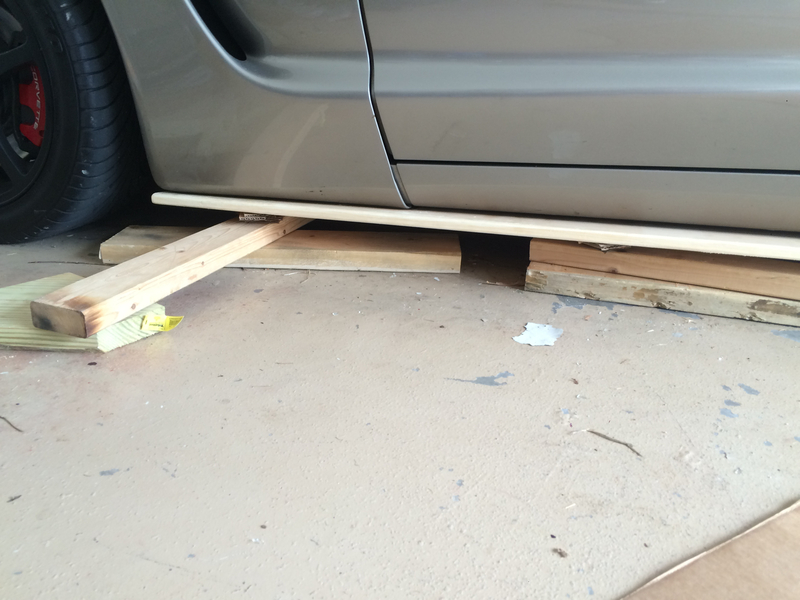 Then, put some kind of putty or glue on the head of the screw under the car. Get the piece lined up how you want it, then press the piece up hard against the screw head and pull it straight down. The putty will show you exactly where to make your screw holes. I purchased longer screws and larger washers. The screw size is #8 1.5 inch long and the washer just the standard 'fender washer' at Home Depot. I am attaching the template, then, how I held the template up across the length of the car to get it positioned where I wanted it before pressing it up against the putty-tipped screw. You want to be sure and have the piece lined up exactly how you want it to look at both ends before pressing it up that last 1/2 into the screw so you know you are making the hole in the right place. I am also attaching my best shots of close ups of the final piece so you can judge for yourself if you like the finish of it. For the passenger side, just flip the template drawing around so the cutout portions are on the bottom rather than the top of the picture. So when can I order a set? Well done any pics of the material you started with and one of the completed skirt off the car? and great job on the skirts. 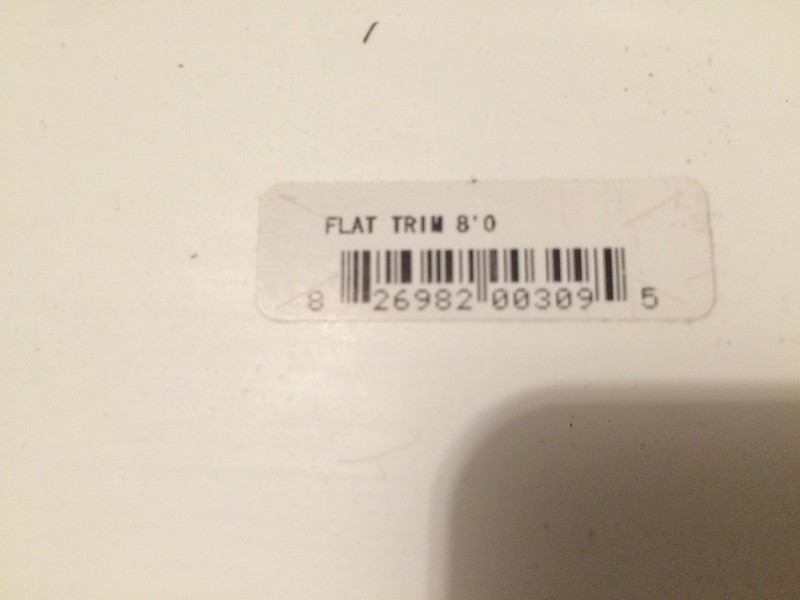 If you have a stock number/brand name for the vinyl please post it up. Wow that's incredible. Great job. Indeed, can you let us know exactly what siding material you purchased? I am not really looking to make them to sell but here's the link to the product I used, pictures of the material I didn't use in it's original form (with the UPS sticker, and a couple pics of it off the car. 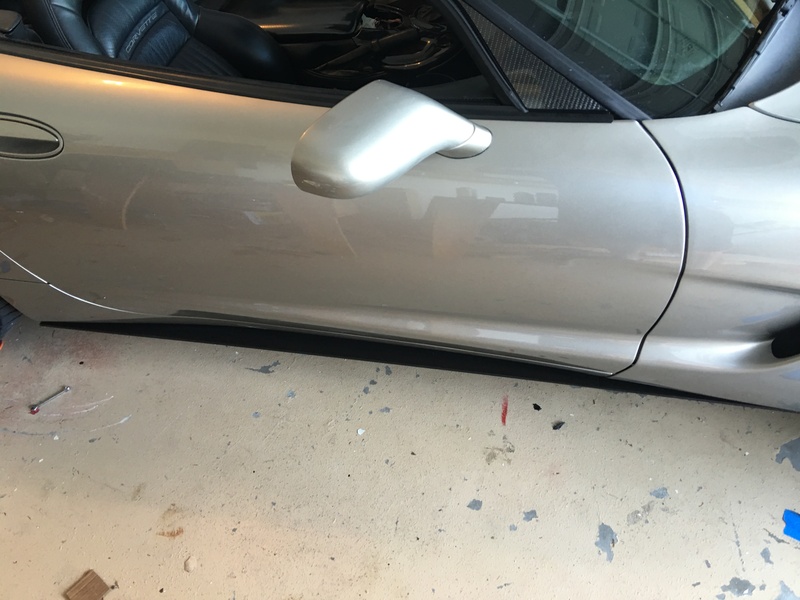 In the photos, the 'textured' side is the side I used on the bottom of the side-skirt. The side with the sticker is completely smooth, like PVC or Whiteboard. The chips and imperfections in the edge are easy to fix. The material is just like a PVC pipe and is easily sanded down. The primer I used was the "extra thick" primer that you use to fill imperfections. I put on about half a can of primer in 4-5 coats on each piece and wet-sanded it with 400 grit to get it completely smooth. I did not sand any of the black coats or the clear coat. 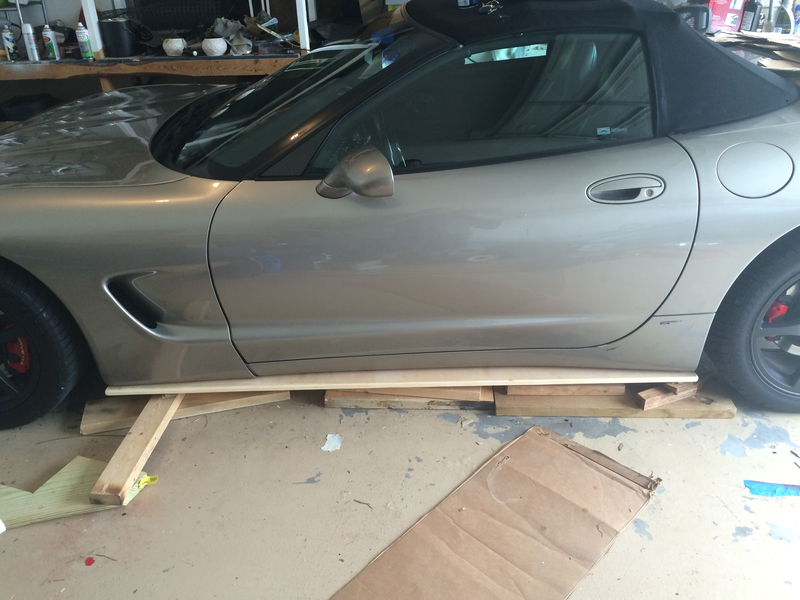 Here are the only 2 pictures I have of it off the car. I was trying to capture the difference between the black paint only and the paint + clear coat. The finished product was all clear coated and super high gloss and not shown in these pics. But this gives you an idea of the look right before it was installed, the only difference in these 2 pictures and the installed product is 3 clear coats on the entire piece. 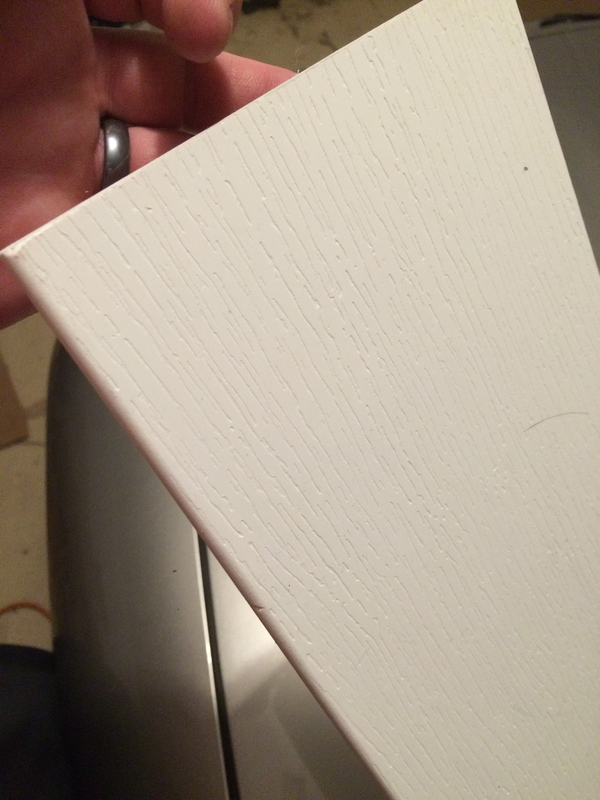 does the grain still show through on the vinyl after paint? The grain is only one 1 side. 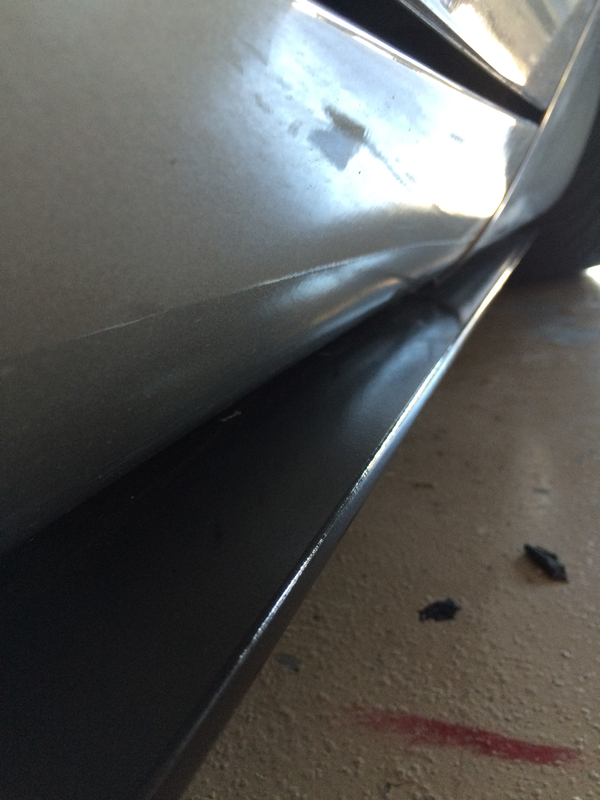 The other side is smooth like a white-board or PVC pipe. 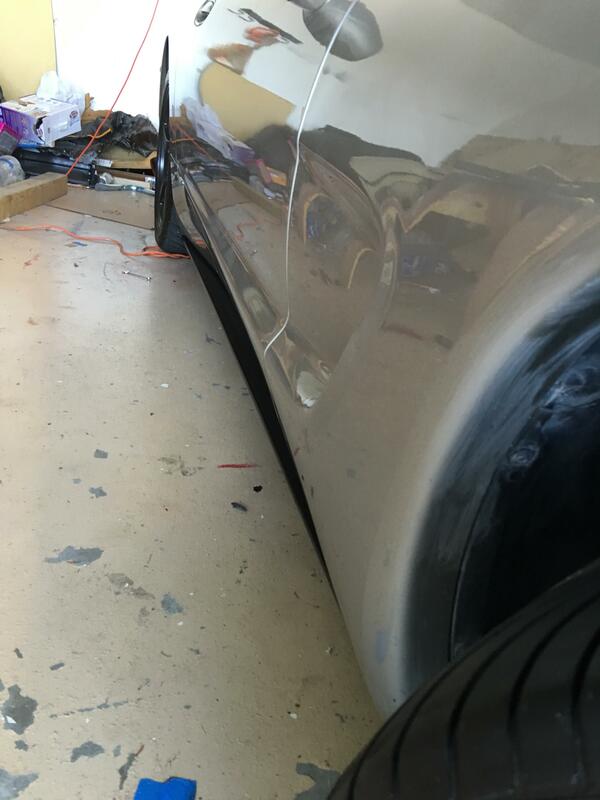 The smooth side is the side I painted and have facing up. 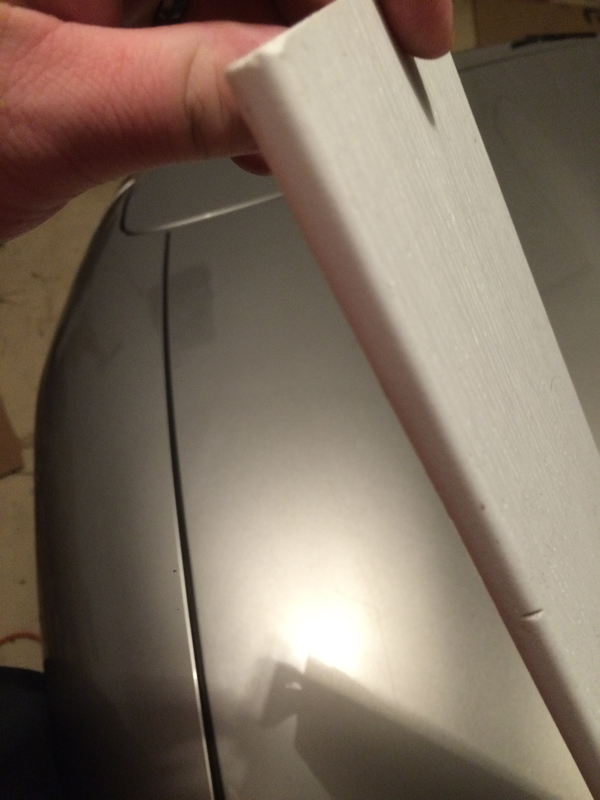 The grain side I just coated with Plasti-dip and have facing downward. The grain is still visible, but the only people that will see it will be people laying down on the ground looking at the bottom of your side-skirt. The side exposed on the top is completely smooth as glass. Really dig this... and so does my pocket lol, good job on this might have to do it in the near future.